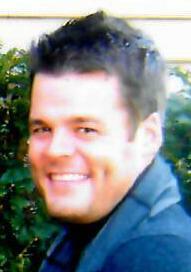 Michael H. Centrella, 34, of Charlotte, NC, previously of Winsted, CT, passed away April 1, 2018. He was born November 9, 1983, in Torrington, CT, son of Gregg Monroe of Goshen, CT and Henry Centrella. Michael was a graduate of The Gilbert School, class of 2001, and Western New England College, class of 2006, where he earned a BA in computer information systems and a minor in economics. Michael worked for AXA Equitable for over 10 years both in Operations and IT. He lead projects that varied from process improvements to implementing emerging technologies. He recently took a new role and challenge when he was promoted to be the Manager of the Operations Solutions Team which oversees the workflow and imaging systems at AXA. He was loved by all who knew him, had an incredible sense of humor and was always smiling with his big dimples. Michael was given the nickname Marv (Marvelous) by his high school friends and was still referred by it to this day. He enjoyed attending concerts, cooking and coming back to CT to visit his family. In addition to his parents, he is survived by his sister Tiffany and her husband Sean Melycher of Winsted; two brothers Justin and Alexander Centrella, both of Goshen; his maternal grandparents John and D'Arcy Lovetere of Winsted; his aunt and uncles, Lisa and Tom Cook of Torrington, and Michael Monroe of New Hartford; he also leaves behind his niece and Goddaughter, Olivia Marie; as well as many cousins & friends. Relatives and friends may call on Wednesday, April 11, 2018, from 5:00pm to 7:00pm at the Cook Funeral Home Chapel, 82 Litchfield St., Torrington, CT. A funeral service will be held at the conclusion of calling hours at 7:00pm with the Reverend Dr. E. Bevan Stanley officiating. Burial will be private.